Garage Doors Repairs Waterloo for a FREE Garage Door Repair Estimate Call Us Today At: 226-887-2859, Garage door faults can occur in a number of ways, from broken cables and torsion springs to remote and opener faults or just natural wear and tear. No matter the issue, Garage Door Repairs Waterloo is one phone call away from repairing your garage door. Our experts are equipped with the knowledge and experience as well as all the required tools to repair any garage door commercial or residential. we offer 24/7 emergency garage door repairs in the Wsterloo area, services at no extra charge our customer service representative available to take your call at any time anywhere. 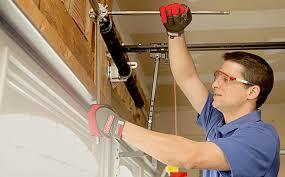 we deal with major leading brands in garage door industry such as , Genie, Liftlmaster , Clopay Craftsman and much more. Garage Door Repairs Waterloo offers a high quality, affordable garage door repair service, available 24 hours a day for repair estimates, in-person inspections and emergency repairs. We repair garage door parts and entire garage doors, you can check our garage door repair portfolio to see recent repair work carried out by our team. We also perform a complete 25 points safety inspection. From garage door repairs in Waterloo and Kitchener to garage repairs in Cambridge and Guelph, our services cover all the main areas of Waterloo Region. With over 10 years in the industry, Garage Door Repairs Waterloo is your trusted garage door installation company! Offering a professional, 24 hour service, 25 point safety inspection and a selection of Canada’s finest residential and commercial garage doors, Garage Door Repairs Waterloo is one call away from installing a new garage door and raising the curb value of your home. We deliver and install garage doors to a range of locations across Waterloo Region, Garage Door Repairs Waterloo is at your service!